Back when I was a little more than 200 pounds (roughly five years or so ago), running was something I only did if it were raining outside and I had to run from my car to a store. Running was for athletes. People in shape. Skinny people. Definitely, not me. I was never an athlete in school. I never participated in sports. Well, except if you count the time I was the manager (coach’s helper) for the middle school boys track team. Then yes, I was in sports. Not that I didn’t like sports, mind you. I just didn’t think I was coordinated, nor did I think I was the “athletic type,” whatever that is supposed to mean. As an adult, I would ride bike. Maybe a mile or two. I liked it. But not something I ever did on a regular basis. I also liked to walk. Again, maybe a mile or two, maybe three. But again, not something I did on a regular basis. Activity (aka exercise!) was definitely not something that was a part of my daily regimen. Until, I joined Weight Watchers and started losing weight. Now keep in mind, I joined in November of 2008. Cold. Snowy. Not ideal for outside activity. Truthfully, I didn’t do a lick of regular “exercise” for at least the first four months, if not six months of my journey. But, by the time I had lost between 30 and 40 pounds, I was walking on a regular basis, along with riding my bike – as long as the weather cooperated. As I got closer to shedding 50 pounds, something changed. Dramatically. As I remember the story, I was going for my evening walk and my son, who was about 15 years old at the time, decided to come with me. He was going to ride his bike. As we were going along our merry way, he asked something to the effect, “Mom, do you think you can run?” He didn’t say it sarcastically, but that’s how I took it. Well, maybe not sarcastically, but more in a challenging way. As in a dare, get my drift? I said, “Of course I can run!” And then I took off. I made it about a block. I was kind of devastated. And shocked. By this time in my journey, I could have easily walked five miles if I really wanted to. Five miles! But that was walking. Running, on the other hand, was a completely different story. My son didn’t laugh at me that I only made it one block, although I wouldn’t have blamed him if he did. But, from that day forward, something changed. And it all began with a single step. A step in the right direction. From where I live to a bench on the trail near my house is exactly one mile. 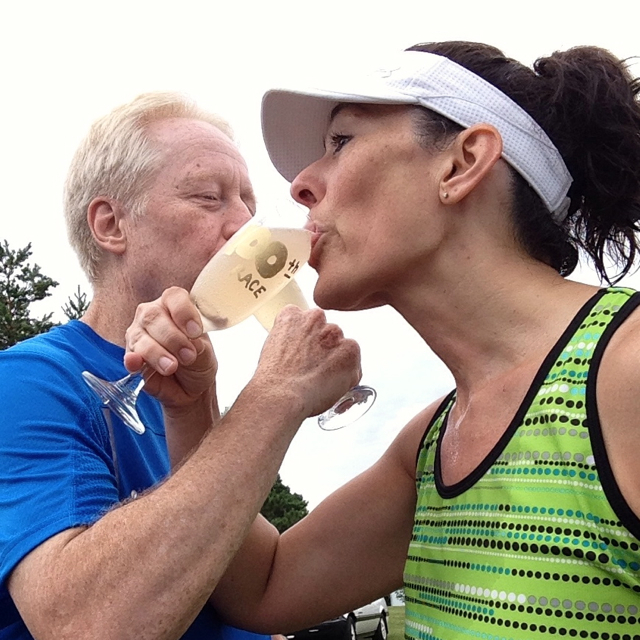 After my son “dared” me to run, I kept at it. I thought to myself, “I’ll show you!” Each time I went for my walk, I would try running. And each time, I went further and further. It seemed like it took FOREVER to finally be able to run that ONE WHOLE MILE. It seemed that I was never gonna be able to do it. I had good days of running. I had bad days of running. But I kept at it. One foot in front of the other. One single slow step at a time. There were times I thought I was never going to be able to run ONE MILE. But…eventually, I did. As I remember the story, I was going for my evening walk run and my son decided to come with me. He was going to ride his bike. I started out walking, but almost immediately starting running. Slowly. But I was definitely going faster than a walk. I didn’t really say anything to my son. I just kept running. Again, slowly, but I was doing it. I was getting closer and closer to the bench and I was getting closer and closer to stopping. Just like the numerous times I had tried before, I wanted to stop and just walk. BUT……..I think my son realized what was about to happen and he started to cheer me on. He told me I could do it. I could make it that ONE MILE. I could tell he was excited – AND shocked. I don’t think he thought I could – or would – actually do it. BUT, I DID IT. I ran one whole mile. I thought I was going to die. Truly. I was gasping for air. I was drenched in sweat. My heart was pounding. But, I did it. I ran one whole mile. Eventually, one mile turned into two miles. Two miles turned into three miles and before I knew it, I had signed us up for our very first 5K (3.1 miles). My husband, Al, and my son, Brandon, agreed to do it with me. We were running it as a family. And I have to say, as grueling as it was – and it WAS grueling – it was one of the most memorable things I have ever accomplished in my life. I think I finished in 40 or 45 minutes. Something like that. But I didn’t care. I DID IT. And that was all that mattered. Truly, there are no words to describe crossing that finish line. It is indescribable. It is rewarding. It is satisfying. It is emotional. It is wonderful. It is everything you worked so hard for all wrapped up into that final step. It is AWESOME. 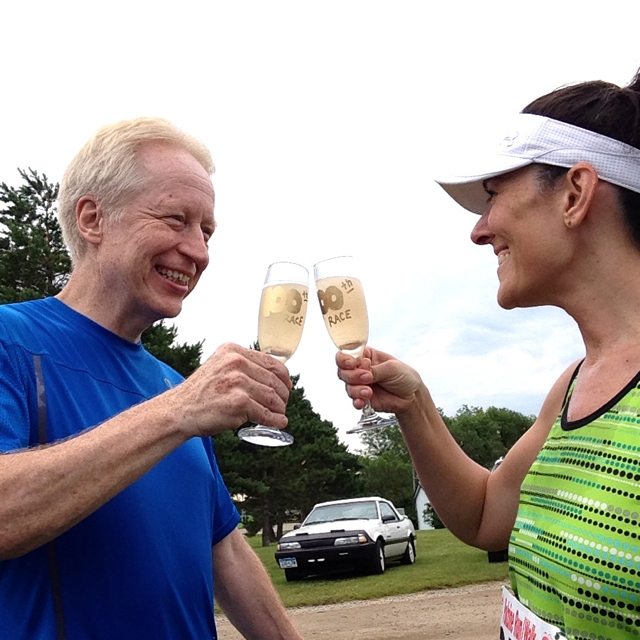 Fast forward to Saturday, July 12 at the Henning Festival Polzine 5K in Henning, MN. 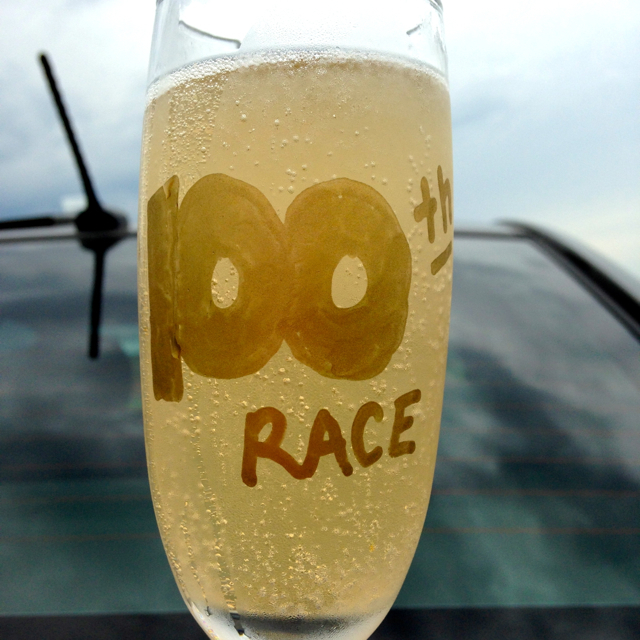 My husband and I celebrated our 100th race. Yes, ONE HUNDRED! If someone would have told me back when I tried running and only made it one block that I would be celebrating my 100th race someday, I would have laughed in their face. A great big ol’ hard belly laugh. I guess that’s why, you should never say NEVER! Running is now a part of my life. I am a runner. Period. I have good days and I have bad days. But nonetheless, I love it. Yes, I love it. I love being a runner. I love that my husband is a runner. I love that we run races together. Running is OUR life. It’s who we are. It’s what we do. It’s our hobby. 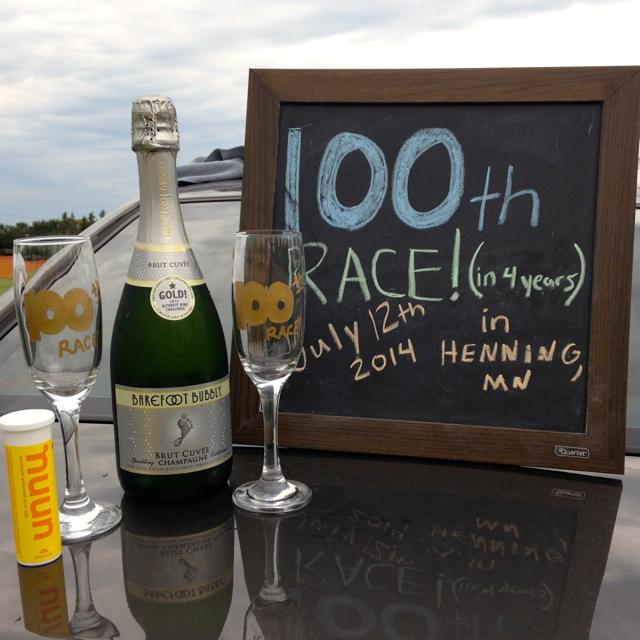 And in Henning last Saturday, we were both happier than happy to be celebrating our 100th race. Here’s some pictures from the day! After the Henning 5K, we got quite the surprise from the organizers/sponsors. 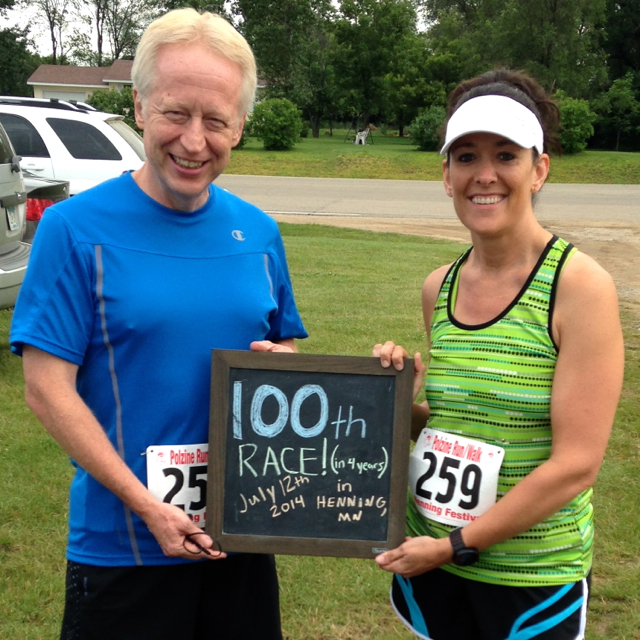 I had posted on the event’s Facebook page that my hubby and I were excited to be running our 100th race in Henning, especially because we had ran this race before. It was our fourth race back in 2010. When the race was done and the awards were handed out (I placed 3rd in my age group, by the way), the announcer said they had one last recognition and then they called out our names and had us go up on the stage. 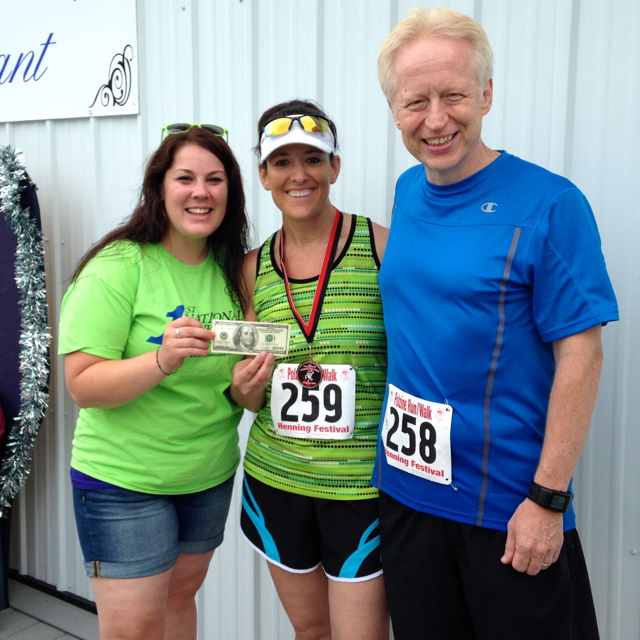 We were then presented with a $100 – yes, a crisp ONE HUNDRED DOLLAR BILL – for running 100 races. We were flabbergasted. Elated. Shocked. Excited. When we returned to Alexandria after the race, we immediately went to Jake’s Bikes and promptly spent our $100 on two brand new bike helmets. 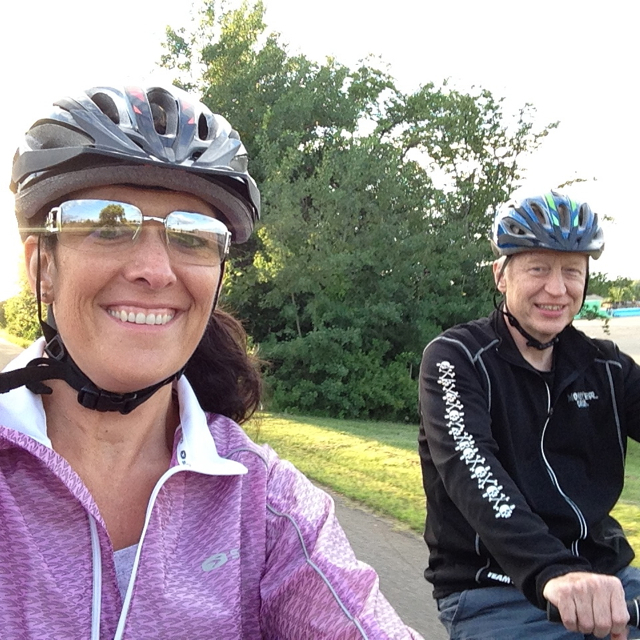 And on Sunday, we went for a nice, short 8.5-mile bike ride! 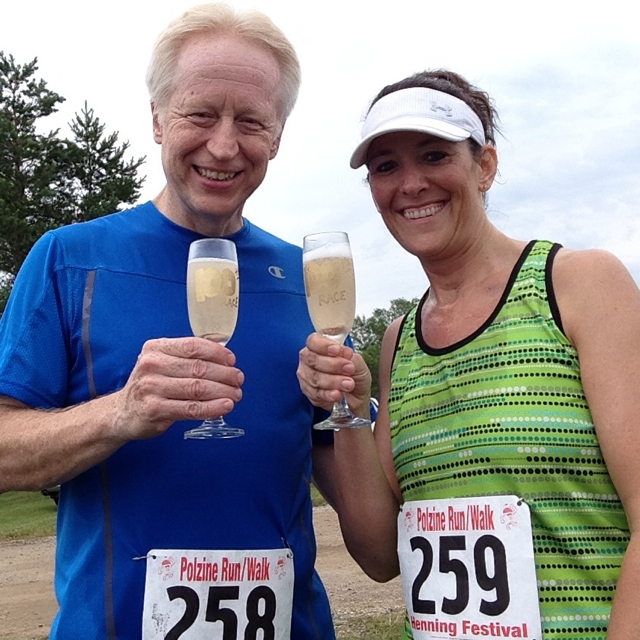 Thanks again to the organizers and sponsors of the Henning Festival Polzine 5K race! Great post Celeste. You should be proud. You look great! Awesome story, Celeste!! I was in tears reading it.. You should be very proud! Thanks so much, Ellie! I definitely am proud. It’s just sometimes hard to admit! And I am glad you liked the story! You are definitely one of my inspirations. Keep up the great work you do, miss ELITE athlete! Thank you for sharing this, it was just the inspiration I need. Just started WW in January, and have barely begun walking on the treadmill. I’m down 20 lbs, and you’ve spurred me on to move more! Previous Previous post: A word from my better half!